Look what’s cooking in the old white cabin. Pumpkin Soup, the best you ever tasted, made by the Cat, the Squirrel and the Duck, who scoops up a pipkin of salt and tips in just enough. 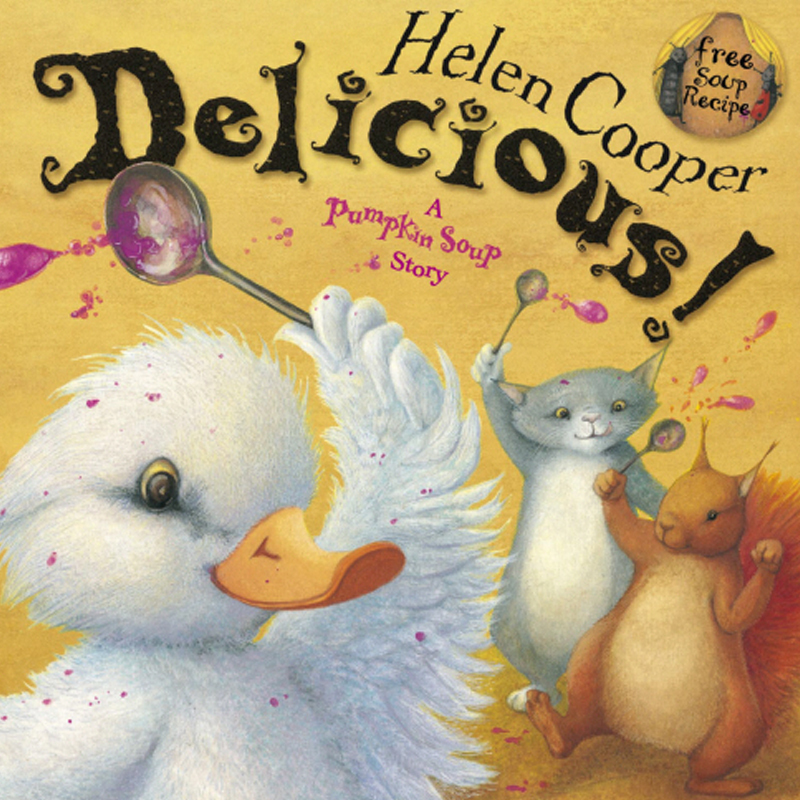 The first in this series – Pumpkin Soup – was published in 1998, won the Kate Greenaway medal and went on to be a bestseller worldwide. It was followed in 2004 by A Pipkin of Pepper and then by Delicious! in 2006, all to great critical acclaim. 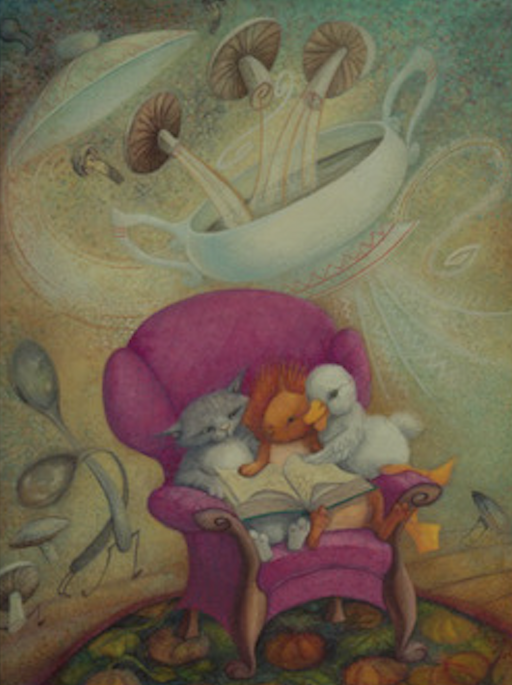 Pumpkin Soup was published in 1998, and is the first story about Cat, Duck, and Squirrel, who live deep in the woods in an old white cabin. Everyone has their own jobs to do when they cook, so cosy mayhem ensues when Duck wants a turn at stirring the pumpkin soup. Off goes Duck in a dreadful huff, all alone into the wild woods, while Cat and Squirrel are left to consider what really matters to them. Eventually, after more cooking and rather a mess, they learn to compromise….or do they? 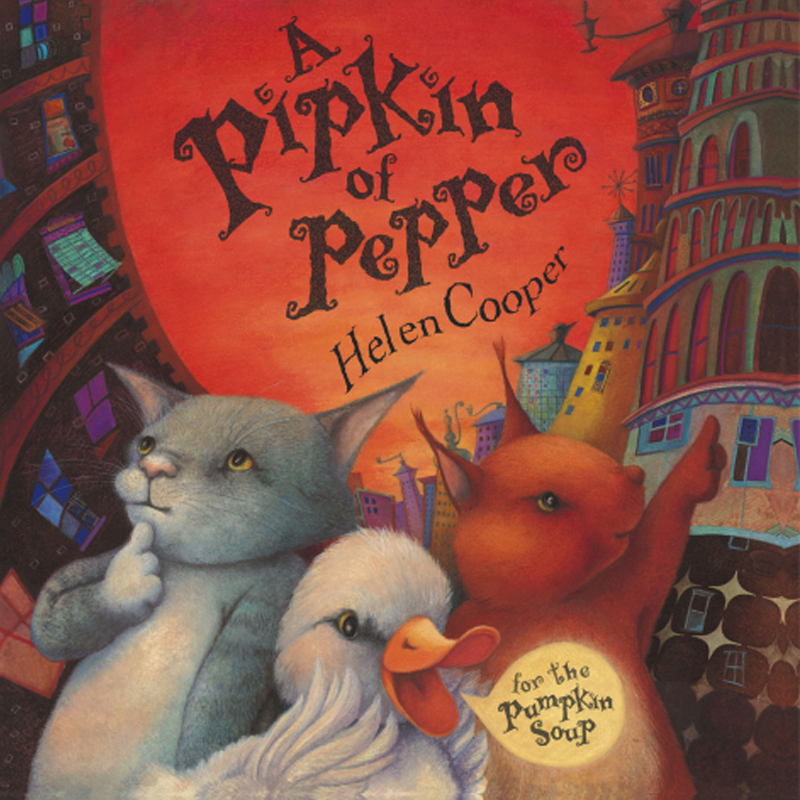 A Pipkin of Pepper followed in 2004 – the further adventures of Cat Duck and Squirrel with a lost in the city theme. It describes their shopping expedition in a pepper-pot metropolis, and the resulting fiasco when one of them goes missing. Would there be ever be pepper for their pumpkin soup? Delicious – 2006 – explores the trials and tribulations of tasting unfamiliar food. The bugs who have featured in the first two books take more of a central role as they comment on the wasted food in the old white cabin and do something about it. The story will be both a comfort to faddy eaters like the duck, while giving just a little insight into how it feels for others to cook for one. It comes with a delicious recipe. 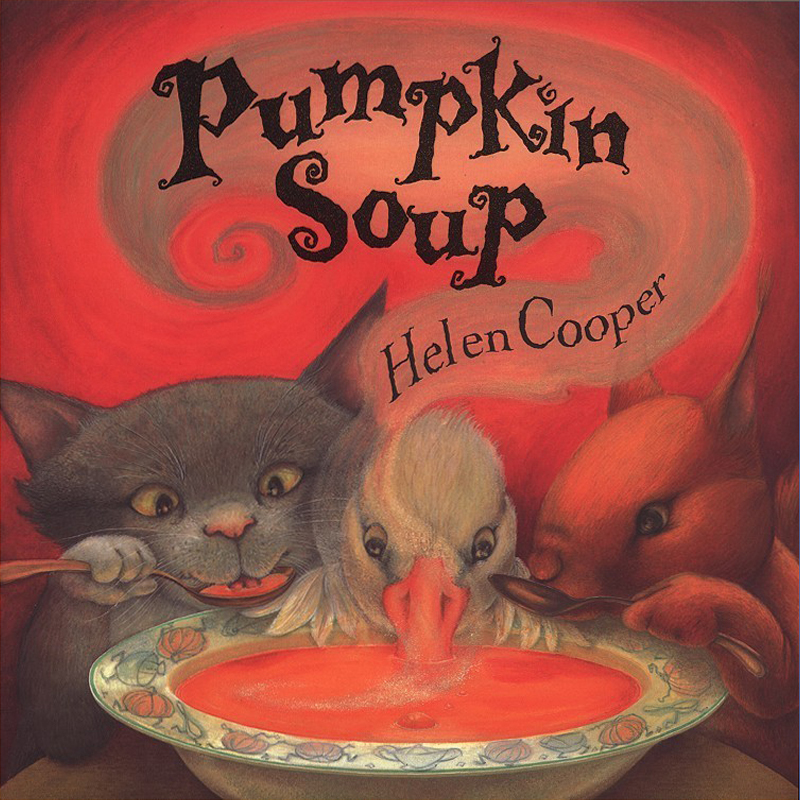 The Pumpkin Soup books celebrate pumpkins, and cooking, and family life. Full of scrumptious colour and a riotous array of vegetables, they encourage an appetite for cooking and discovering new foods, whilst also exploring different character traits and how we all get along. All three have been highly acclaimed, and translated into many languages. 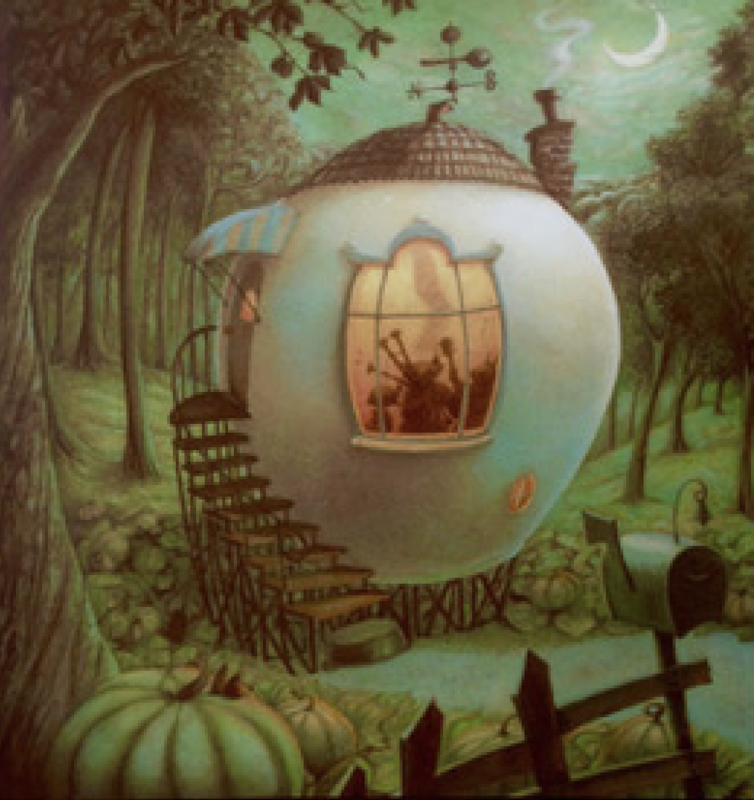 Pumpkin Soup won the 1998 Kate Greenaway medal.